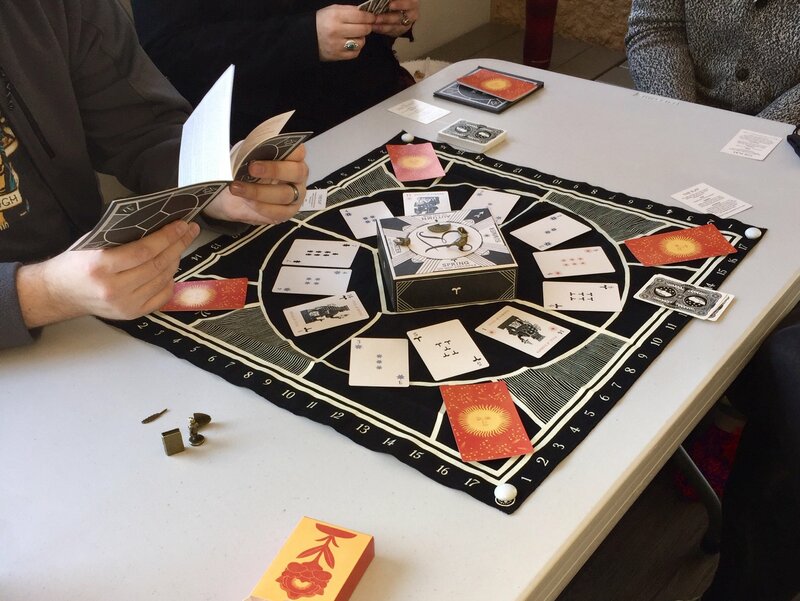 Illimat was the first game of RickFest. It’s a very attractive game, but there are some elements of the rules that seem a little arcane. I have read the rules and watched a couple of videos, but haven’t actually played it yet. The gang here were having a bit of trouble figuring it out. Still, it got a couple of plays, so it can’t be too bad.